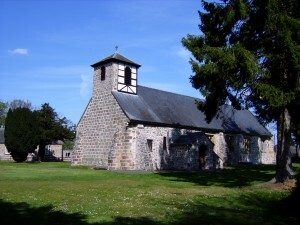 The parish church played a huge role in the life of each individual, and everyone was obliged to attend church services. The homes of clergymen were also important for the poets and because many churchmen were educated and interested in both poetry and Welsh history (see Noblemen’s interests: Learning and knowledge), they were generous patrons. Unfortunately, many churches were later rebuilt and only a few have retained their stained-glass windows, floor tiles or wall paintings from the time of Guto’r Glyn. Some objects have survived such as communion vessels, decorative carvings and representations of religious figures (see Crosses and effigies). Effigies of Christ on the cross or the Virgin Mary were very significant in this period and many poets composed poems for those that were held at their parish churches.